If you are running a building construction company, you deal with tonnes of debris and waste. There are several, easy ways to dispose of non-hazardous materials like wood, concrete, plaster, drywall and bricks. Before, making trips to the rubbish tip is probably one of the primary ways of construction waste disposal. However, these days, the aforementioned has become less of an option. Landfills get bigger and bigger and they start to pose health risks. Some local government units also start to close down their landfills. So, now more than ever, it is important for construction companies to find alternative ways to manage their waste. Thankfully, there are other waste disposal options that promote sustainable practices. Of course, properly managing waste is essential in running a sustainable construction business. Practicing environment-friendly construction waste disposal provides several benefits not only to the company but also to the community. This means that you have to find ways to eliminate waste, reduce waste where possible and reuse or repurpose materials that would otherwise end up as rubbish. In this article, we’re listing down some tips that can help you deal with construction waste in a sustainable manner. There are some wastes generated from construction sites which can be completely eliminated. For instance, if you use metal scaffoldings or metal form systems in constructing a concrete building, you can dismount them and reuse them on other projects. This is a better alternative to using formwork made of dimensional timber or plywood. When you try to eliminate the waste, it can reduce the negative impact of building construction to the environment and on human health. With careful planning, you can also reduce construction-related waste. For instance, when you ship construction materials, make sure that they are designed and manufactured to be delivered with minimal packaging. It would also pay if you choose recyclable products and materials that offer great potential to reduce waste. There are construction materials which can be reused or repurposed. For instance, if the windows and doors are still in good condition, you might want to resell them, use them for another project or donate them. If there are products or materials that cannot be effectively and efficiently eliminated or cannot be reduced or reused, they can still be disposed of at a minimal cost. We will further discuss this option later in the article. One of the most important steps in developing a proper demolition or construction waste management plan is assessing the waste. It is essential to get a general idea of the type of rubbish you will encounter in a certain project. In this way, you can efficiently plan how you will get rid of your construction rubbish. There are characterization studies that industrial hygienists conduct to properly identify the qualities and components of materials that are hazardous to the environment and to human health. 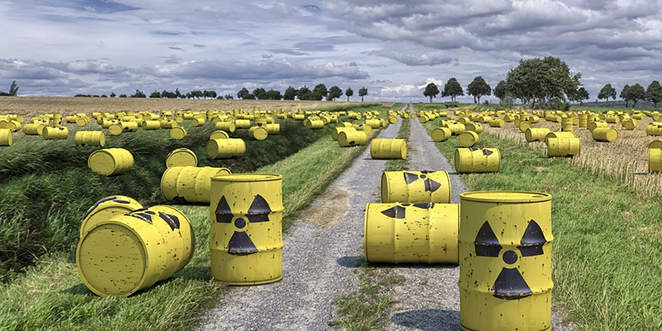 There are contractors that offer services specifically for identifying, verifying, handling and removing hazardous waste according to local regulations. The most convenient option for construction waste disposal is hiring skip bins. Bins ranging from 6m3 to 12m3 can accommodate waste generated by bigger construction and demolition projects. You can also hire them for at least four days for up to a week. This means that you can store the waste in the bins and once they are filled, you can call the skip bin provider to pick them up. Typically, skip bin hire companies partner with licensed sorting facilities when dealing with construction waste. They deliver your waste to a recycling plant where the rubbish will be sorted and salvaged for recycling, reuse or redistribution. Of course, you can choose to let your crew handle your construction waste. However, this option may not be cost-effective for your company. You have to consider that every hour spent on sorting the rubbish and delivering them to the tip is every hour that does not generate income on the project. You also have to know that the bigger your project is, the more costly waste removal can be. Safety – Piles and piles of waste that are left unattended can be hazardous for the workers. Hiring skip bins allow you to keep the rubbish out of way and avoid accidents and injuries. Kinder to Mother Nature with Less the Effort – You can sort your construction waste yourself and reuse or donate materials in good condition. However, the aforementioned can take a lot of time and effort. Hiring a waste removal company is a more convenient yet clean and green option. More Space – Having skip bins around your construction site helps you eliminate clutter and free up space. Save Time and Energy – Instead of spending hours making trips to the rubbish tip, you can let the professionals do the dirty job. Consequently, you will have more time and energy on more important tasks. Convenient Waste Removal – When you book a bin, it will be delivered to you. Once the bin is filled, the waste removal company will come to pick it up. This means that your responsibility over your construction waste ends when the skip bin hire company comes to pick up your rubbish. Do you have suggestions for managing construction waste? Let us know in the comments below and we might feature your contribution in our next article!